The third stage of the Small Business Regulation Review (SBRR) is seeking feedback from small businesses in the construction sector to help cut red tape. 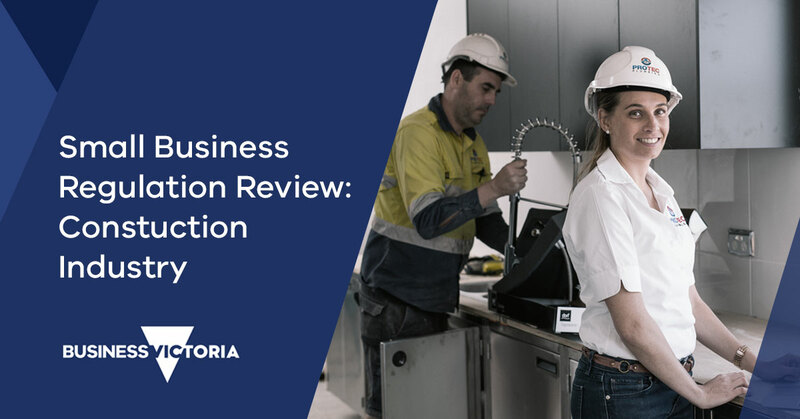 Headed up by Minister for Small Business, Philip Dalidakis, the review will partner with Energy Safe Victoria, EPA Victoria, Worksafe Victoria and the Victorian Building Authority to identify opportunities to improve the way in which regulators and small businesses in the construction sector interact. The first two stages of the SBRR focussed on the retail and visitor economy sectors. Although regulation in the sector is important, feedback from small business owners shows that they feel a significant amount of regulatory burden. Reforms found through the SBRR will immediately benefit the 92,000 small businesses in the sector. The review will also consider ideas that are more broadly applicable to small business and regulators in all sectors. Individuals or businesses looking to provide feedback can do so by completing the online survey, participating in the Small Business Forum in the Melbourne CBD on Tuesday 19 June or a small business consultation in Geelong on Thursday 21 June.